This type of work is expertly balanced and a breath of fresh air amidst the countless collections of difficult and unnecessarily thesaurus-laden modern poetry. Capes has an impressive ability to reflect on the every day and make it so much more in his lines and sentiments, sourcing beauty and food for thought in even the most mundane of things, in a voice that feels genuine, assured and intelligent. As Jane Williams states on the back cover, Capes’ poetry “[favours] sincerity over artifice and meaning over wordplay”. Finely tuned, vivid and accessible, Between Giants goes further in expanding the reputation he has established in his previous collections, Pollen and the Storm, Orion Tips the Saucepan and Stepping Over Seasons, exploring a range of experiences, topics and landscapes. The fantastic opener ‘transitions’ displays to the reader that they are about to be taken to a different cultural landscape by the poet, and as the collection progresses, it is clear this landscape is Italy, namely Rome. The non-travel poems are also strong, always keenly observed, exploring connections between people and places, and deriving beauty from streets, nature and even popular culture, such as in ‘stubble’, which references Clint Eastwood’s facial hair in A Fistful of Dollars, and ‘the colour purple’, which compares Australian nature to ‘a lost set piece from The Wizard of Oz’. It is this ability to find poetry in virtually anything that makes Capes such a fine observer of our modern world and the way we inhabit it. This piece is an interesting take on something we have all witnessed, and demands to be re-read and paralleled with our own lives. 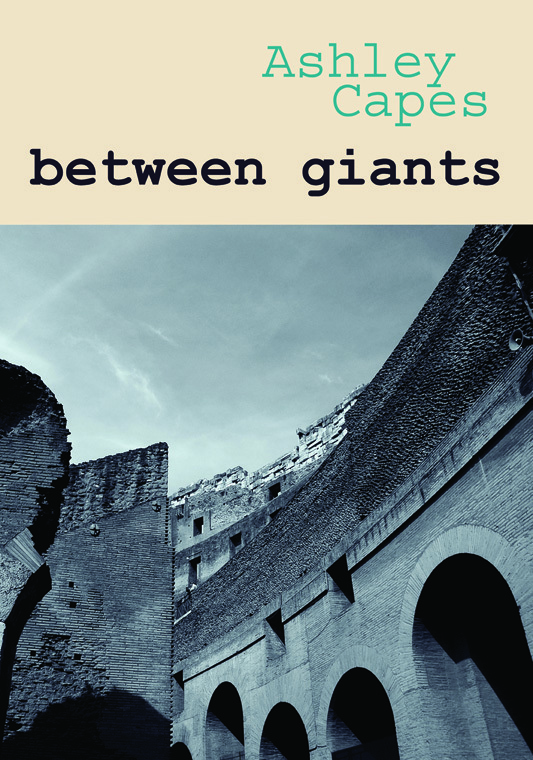 Between Giants, a reference to witnessing the old structures of Rome, is a fine title for this collection, as there are plenty of big and memorable moments within the covers, and also an appropriate representation of Capes as a poet: between the famous names, the giants of Australian poetry, Ashley Capes stands most impressively. More importantly, Between Giants reminds us that wherever there is life, in Rome or in Australia, there is always poetry and vice versa. This entry was posted in Ashley Capes, Between Giants, Ginninderra Press, Issue 9, Robbie Coburn and tagged Ashley Capes, Australian Literature, Australian poetry, Jane Williams, Orion Tips the Saucepan, Pollen and the Storm, Robbie Coburn, Stepping Over Seasons by Mark Roberts. Bookmark the permalink. Fantastic review of my latest collection ‘between giants’ from Victorian poet Robbie Coburn. It’s always, always a thrill to read a great review.